The objective of this 3D Shapes Game is to match the images of different solid figures with the correct words. In this game students will get familiar with the vocabulary words associated with different 3D shapes. How fast can you solve this puzzle? 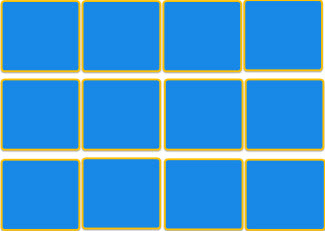 This concentration game can be played on computers, iPads, and other tablets. You do not need to install an app to play this game on the iPad. Have fun matching 3d figures with their names! Return from this 3D Shapes Game to the Geometry Games page, or to Math Play.